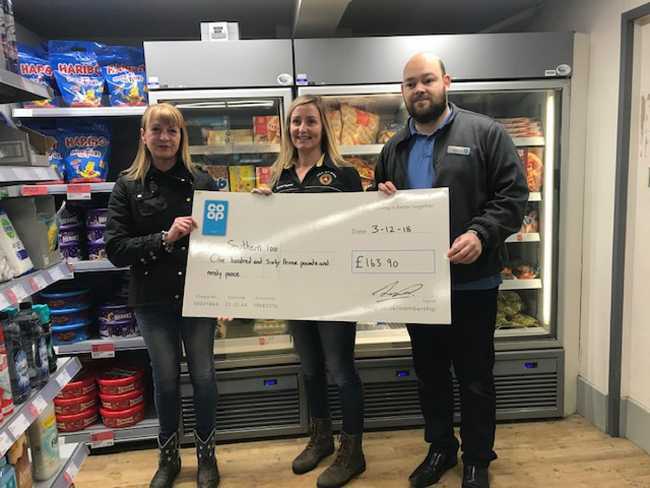 The Coop Store in Port St Mary recently held a raffle for the Christmas Hamper with the money raised being donated to a charity of the winner’s choice. Local resident Fiona Pitt was the lucky winner of the hamper and she kindly donated the money raised, £163.90 to the Southern 100 Club towards the costs of building the new Race Control. Fiona’s husband, Anthony was passenger to David Marshall in the Formula 2 Sidecar races at the 1994 Southern 100 achieving two sixth places finishes. ‘It is extremely kind of Fiona to donate the proceeds of the raffle to the Southern 100 towards the costs of our new Race Control which is currently being built. Current time: 22-04-2019, 10:12 AM Powered By MyBB, © 2002-2019 MyBB Group.